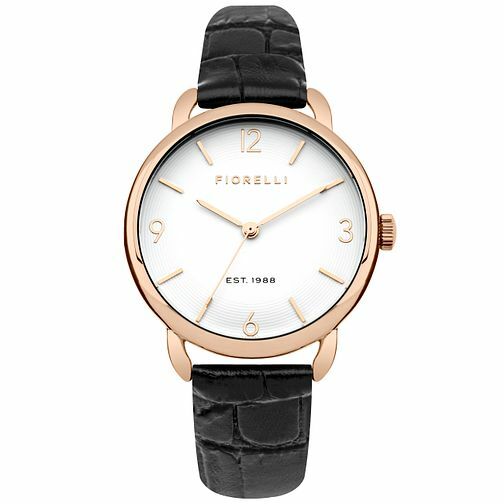 Simple elegance, this chic ladies' black leather strap watch simply oozes class. Featuring a fresh white dial with rose bezel and accents. This is absolutely perfect for the sophisticated lady.